My 89 year old Grandmother still shoots the rifle my Grandfather used to hunt with. The rifle is more than a link to her deceased husband and farm roots. It also provides a sense of security. Although my Grandfather has been gone almost 20 years, the old .22 has stood by Gram, letting her know she isn’t defenseless. 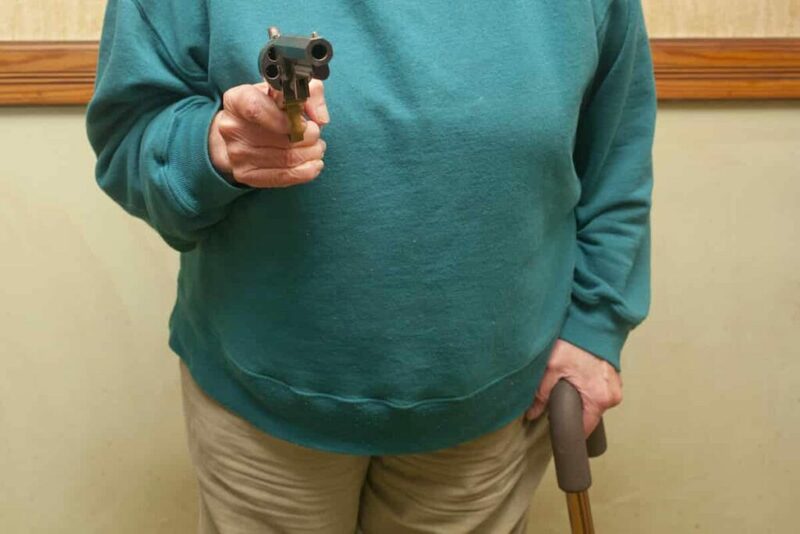 My Grandmother is not alone in her preference; 40% of people over 65 report owning a firearm. With the population in the United States aging, it should come as no surprise the number of mature adults purchasing guns and signing up for firearms training has also increased. According to the NRA, the number of people over 65 who received training from certified firearms instructors is 4 times greater than what it was in 2010. The main reasons older Americans cite for gun ownership is personal safety. As Ronald Regan said, “The gun has been called the great equalizer, meaning that a small person with a gun is equal to a large person.” The effects of aging – decreased mobility and dexterity, loss of vision, decreased muscle strength – can impact an individual’s sense of security. An older person may not be able to fight off an assailant in hand to hand combat, but add a firearm to the equation and they are no longer an easy victim. The natural progression of aging raises special considerations when selecting what type of gun is best. Overall, all components of a gun should come together in a way that works with any physical limitations in a manner that is easy to use and accurate. While my Grandma is partial to her rifle, many seniors prefer a handgun. A rifle or shotgun may be heavy and awkward to handle compared to a smaller weapon. Many older adults suffering from arthritis find single-action easier handle than double action. Additionally, hand strength may be an issue for weapons with a slide. At any stage of life, the best gun is one that fits comfortably in your hand, without the need to contort or stretch to reach the trigger. Amount of recoil is another important consideration. If the felt recoil makes it difficult to fire multiple rounds or disrupts accuracy, the gun isn’t effective. Select a handgun with a level of recoil that allows you to remain comfortable and confident while shooting. If a gun causes tension, pain or is otherwise uncomfortable to fire, it is unlikely you will be able to fire competently should the need arise. In addition to the weapon’s action and the power of the cartridge/recoil, the sight should also be taken into account. Larger sights are easier for elderly eyes to find quick, as are sights that offer contrasting colors between the front and rear sight posts. There are many options here, both from the factor and after market, so there’s something for everyone. “Try before you buy” and “practice makes perfect” are good mantras to follow when selecting a firearm for senior self-defense. A good gun shop or range should take the time to suggest several options that match your needs and price range and demonstrate how to handle, disassemble and clean the weapon. Try out several different calibers to find one that feels good to fire. Checking out 9mm pistols is a good starting point (Our Top Picks for 9mm Concealed Carry Pistols), as are .38 specials for even lighter recoil. As a final note, signing up for classes with a certified firearms instructor is never a bad idea. No matter your age, your competence with a firearm is only as good as the amount of practice you put into it. S.E. Rakowski is a city girl with deep country roots. She enjoys hanging out with her two dogs, a good cup of coffee and over-consuming the news. Growing up around firearms, she is finding her place as a female shooter.